While I’m on maternity leave with our baby girl, a few awesome fellow bloggers have stepped in to help fill the gaps! 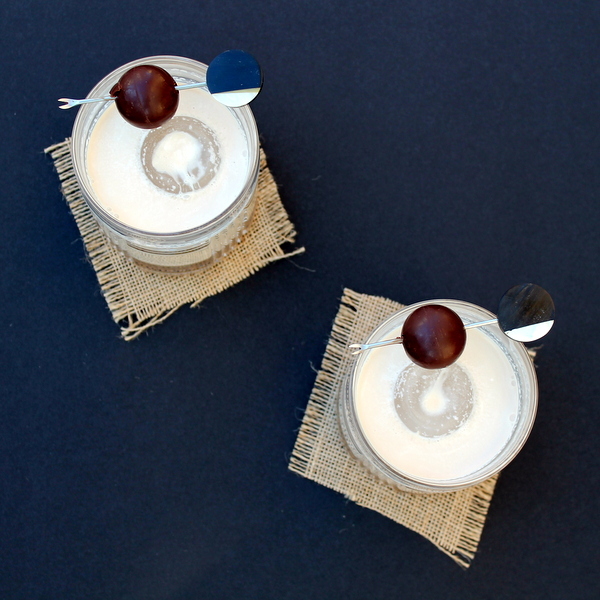 Today Liz from Books n’ Cooks brings you a faaaabulous dessert cocktail! AND it’s only 3 ingredients! Drink one down, then hop over to Liz’s blog for more great recipes and thoughtful book reviews. The Godiva Cream is a rich, 3-ingredient cocktail that is simply indulgent. Dessert in a glass. Hi! I’m Liz and I blog over at Books n’ Cooks. I created my blog to share two of my favorite hobbies, cooking/baking and reading. Today, my blog is mostly family-friendly recipes with a sprinkling of book reviews thrown in. I hope you’ll come over check it out! And when I’m not blogging? Chances are that I’m working at my day job, chasing after my two little ones (ages 3 and 5), or doing some sort of craft. I first met Katie last year at a food blogging conference, and we hit it off immediately. We talked food and wine, and shared stories of blogging, all of the while trying to get glimpses of the fiber convention (knitting convention?) going on at the same venue. And Katie, for those days that are a little tougher, I give you this cocktail. A little chocolate, a little alcohol, and hopefully 30 minutes of quite to relax and unwind. 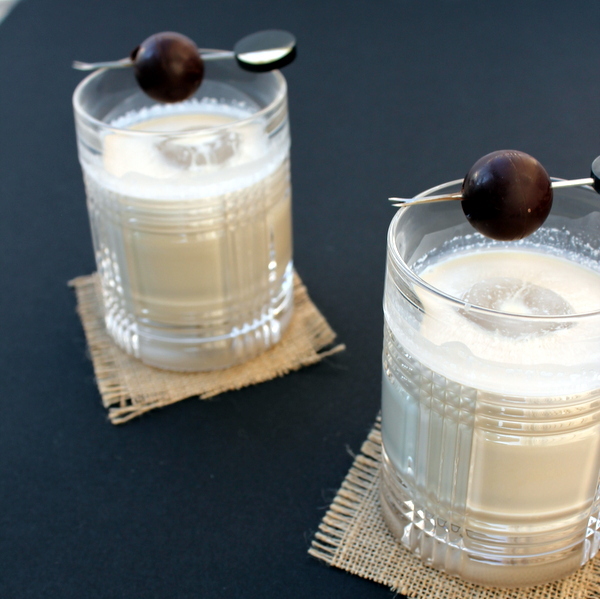 This Godiva Cream is a creamy, indulgent cocktail. It’s a wonderful after dinner drink, in lieu of dessert. My husband noted that it tasted similar to a White Russian. I think it’s more like a boozy ice cream with a touch of mocha. What’s not to love about that? I tested this recipe with both low-fat milk and heavy cream. The higher the fat content, the creamier the cocktail will be, but the flavor is wonderful either way if you want to avoid a trip to the grocery store. I used Lindt dark chocolate truffles as a garnish, but use whatever you prefer (or skip entirely!). Huge thanks to Liz from Books n’ Cooks for this fabulous recipe, and for making my life a little easier while I cuddle a new baby! Pour dark chocolate liquor, Bailey’s, and heavy cream into an old-fashioned glass. Stir gently. Add a large round ice cube (or a couple of regular ice cubes). Garnish with a truffle, speared by a toothpick.